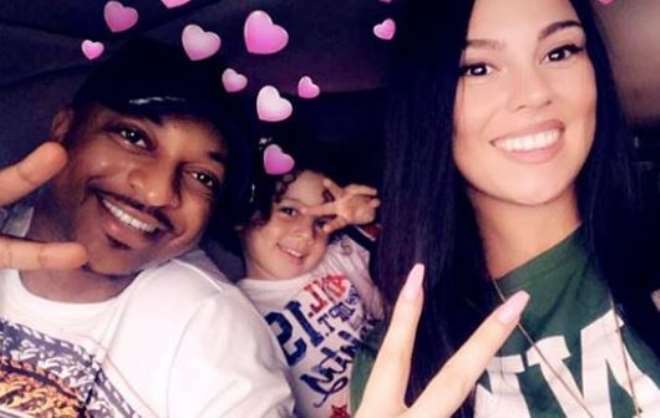 Handsome Nollywood actor, Ik Ogbonna, is happily married to a Colombian lady and since his wedding, the actor has remained faithful to his woman who has got all the complete packages. Yeah, Ik likes curvy ladies, well-shaped to be appealing and he made the right choice of a lady for a wife and his home has been sparkling, filled with real love. No one will have such a beauty as Sonia for a wife and will still want to cheat on her because she knows how to turn her man on and keep him away from some ladies who are ready to devour any man that comes their way. When it comes to curves, Sonia has it. Talk about fresh skin, she is blessed, are you looking or height, she and her hubby complement each other. When it comes to private seduction with her man, she is world class and to crown it all, she is already learning how to cook some Nigerian delicacies.